On behalf of the Idaho State Society, National Society Daughters of the American Revolution, welcome to our state website. Since the founding of the National Society Daughters of the American Revolution in 1890, Daughters have worked tirelessly to promote patriotism, preserve American history, and secure America's future through better education for children. We are proud of our rich heritage. We invite you to join us as we work together to serve God, Home, and Country. Idaho has twelve active and diverse chapters across our beautiful state. We encourage you to find a local chapter where you can attend a meeting and find help with the application process. Through DAR membership you will be joining over 180,000 women across the United States (and beyond) in friendship and service. Thank you for visiting our website. We hope you find the information useful as you pursue your own DAR story. ​have to say . . . 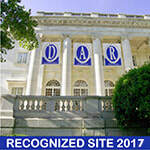 I joined DAR as a way to meet people after moving to the area. Little did I know I would make lifelong friendships with women who are active, fun to be with and united around a common cause. After retirement I moved to a new town in a new state and knew no one. A chance encounter with the local DAR regent opened a whole new world to me. I became part of the group by taking an active roll in the chapter and became part of the most welcoming group of women I've ever met. Our interest in genealogy, love for our country, and respect for God created a common bond that only grows stronger as the years go by. I tell prospective and new members that DAR is what you make it: to get the most out of the experience, take an active roll, spread your wings and fly. I was interested in learning more about DAR after hearing from relatives that my ancestors aided in the establishment of our country. What started out as a journey to learn more about my own family history has evolved into being a member of an amazing organization that is comprised of incredible women across Idaho and our nation. We all have a common bond of service and commitment to patriotism, education, and historic preservation. Most importantly, I have made friendships that will last a lifetime. My love of genealogical research initially got me interested in joining DAR, but now I really appreciate the opportunities to be involved in community service activities and have really come to cherish the friendships I've made with these amazing ladies. 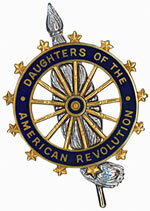 The National Society Daughters of the American Revolution offers many scholarship opportunities. ​Web site updated April 17, 2019. Contact ﻿webmaster﻿.